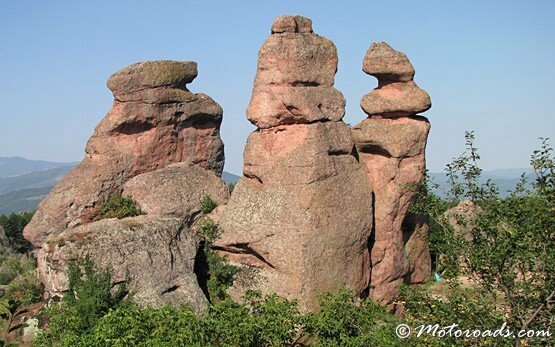 BELOGRADCHIK - Bulgaria » The town of Belogradchik is situated between two ridges of the Western Balkan Range, just east of the Serbian border, 182 km northwest of Sofia, and 52 km southwest of Vidin. 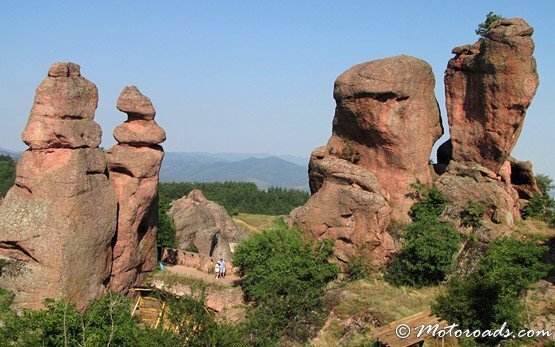 Belogradchik gives its name to Bulgaria's most spectacular rock formations, the Belogradchik rocks, which cover an area of 90 square km to the west. 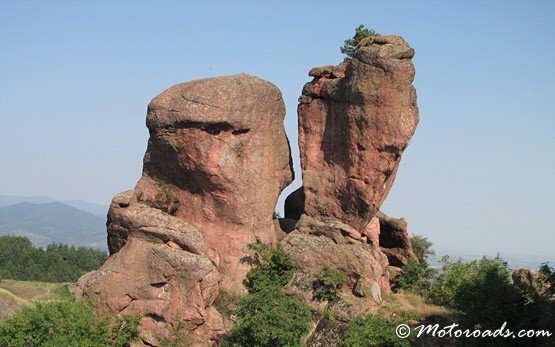 The towering rocks form a natural fortress whose defensive potential has been exploited by the Romans, the Bulgars, and Turks since ancient times. 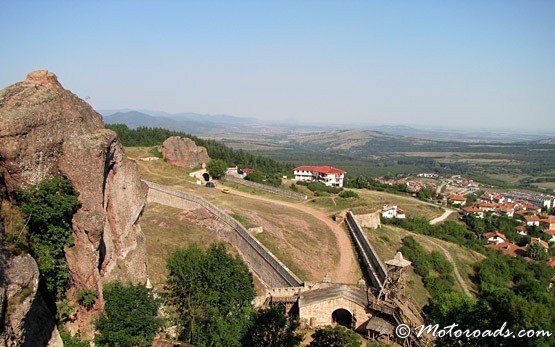 The fortress at Belogradchik and the Belogradchik Pass were for centuries the main trade route linking the lower Danube with Serbia. 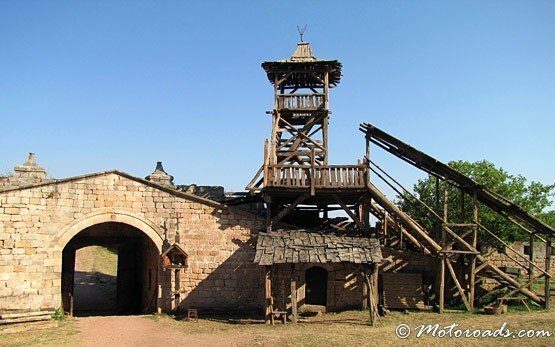 Today, the town's landmarks are the fortress or citadel which three levels of fortifications represent different periods of occupation, the 1751 Hussein Pasha mosque, the historical museum, and undoubtedly the marvellous panorama of the Belogradchik rocks. 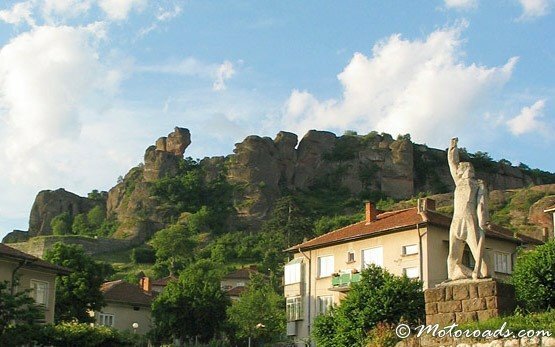 The town is a starting point for trips to the Magura cave, occupied by hunters as early as 2700 BC and best known for its rock paintings. 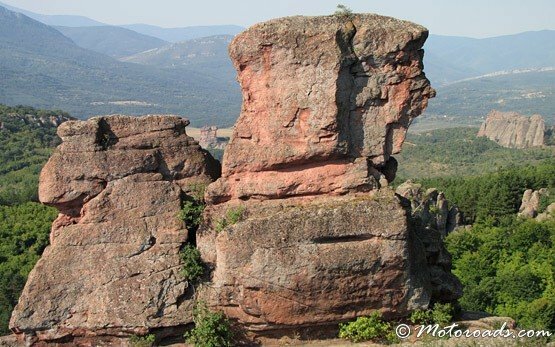 Located in a very picturesque view towards the Belogradchik natural phenomenon, the restaurant is part of the Skalite hotel complex compromising of eight diffrent dining facilities. 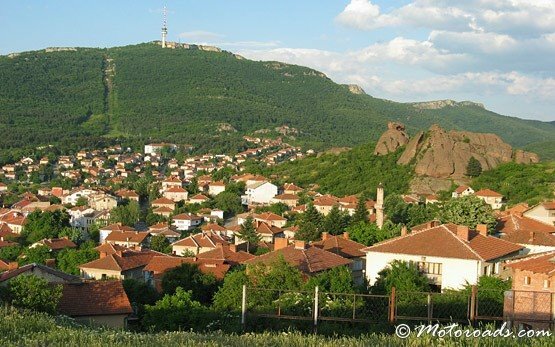 Each facility offers unique athmosphere and qulity traditional Bulgarian and international cuisine.